Hills of Devon is probably best known for its wheat reed. We grow in excess of 300 acres annually. We pride ourselves on the quality of the reed produced, which is grown with the knowledge gained from generations of experience. We grow Maris Widgeon, N59, Square head master as well as Triticale. The wheat reed is grown very traditionally with little or no artificial fertilisers put on the land. 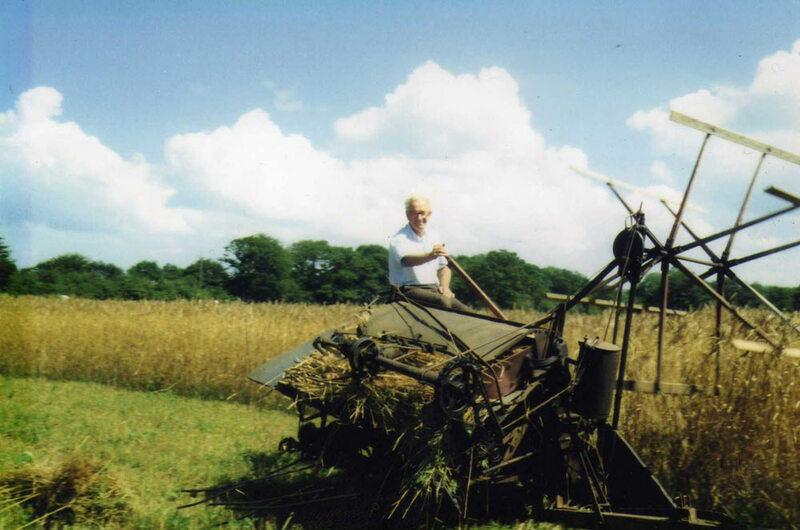 We cut all our wheat with our own fleet of binders before the crop is fully ripe and then it is stooked to dry out for approximately 10 – 20 days. After harvest it is stored in our own purpose built sheds. It is then reed combed with our own reed comber and team of helpers. Once combed it is packed into bales of approximately 65 bundles which weighs approximately 300kg and it ready to be delivered to the thatcher. We have our own transport we can deliver between 1 and 5 tonnes at any one time. If you only require a small quantity we can arrange for it to be delivered on a pallet. If you require larger deliveries there are various hauliers we can use to deliver anything up to 12 tonnes at once. 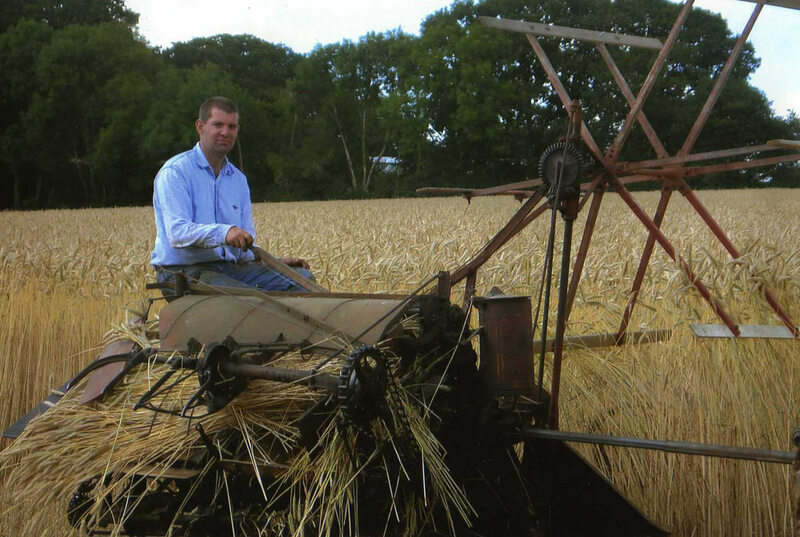 Over the last few years we have been asked more and more to produce long straw. 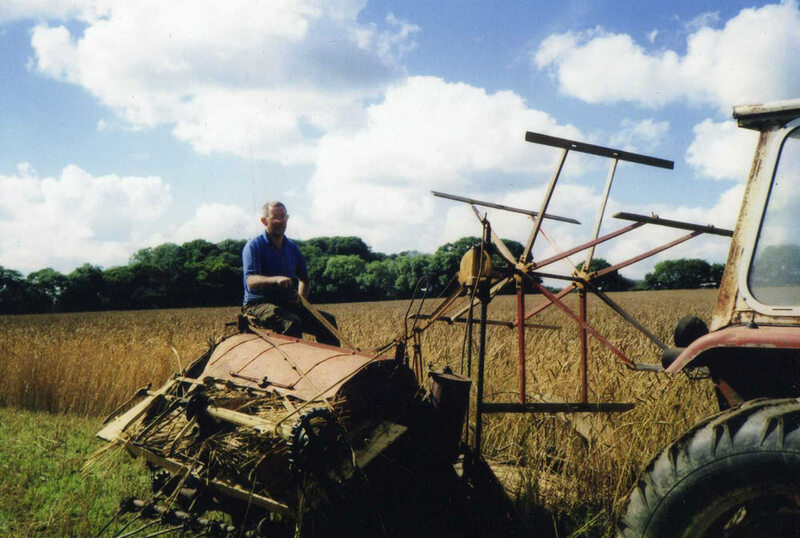 We now are able to supply limited quantities of long straw which has been grown in the same way as the wheat reed. Please telephone us for more details.